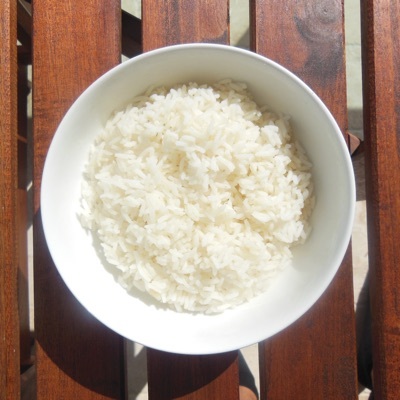 Cooking rice can feel like rocket science. Let's fix that. Set water to boil, 1-3/4 of a cup for every cup of rice you're cooking with 1 TS of salt to keep it from sticking. As soon as water starts boiling, put rice and cover pot with lid. Lower heat to a simmer. Cook for 18 minutes. Remove pot from heat without removing lid and let it sit for 5 minutes.